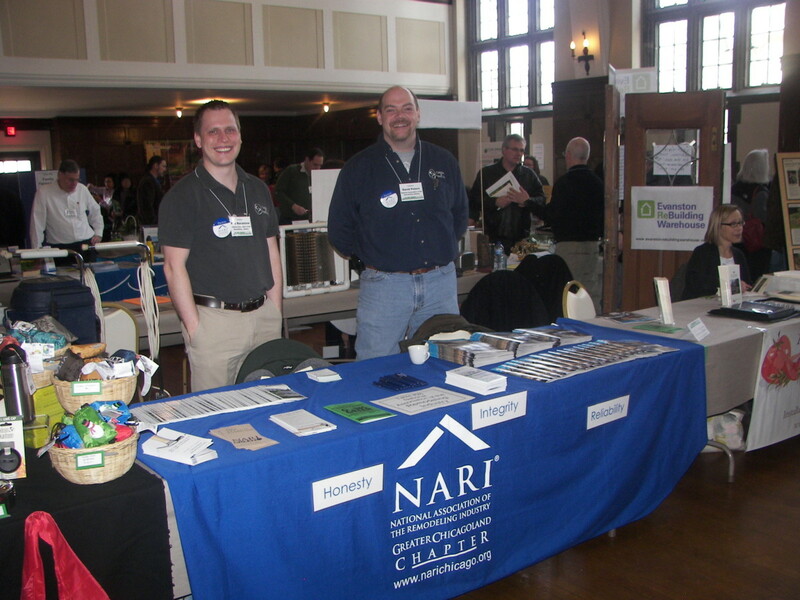 On March 13th we represented the National Association of the Remodeling Industry (NARI) at the Going Green Matters environmental fair in Willmette. It was a great opportunity to explain to homeowners how the remodeling industry is at the forefront of sustainable and healthy building. In addition to building, there were numerous other vendors there providing education and businesses to help promote environmental living. One new organization that really caught our eye was the Evanston Rebuilding Warehouse. The Evanston Rebuilding Warehouse is a non-profit organization that promotes reduction of waste in landfills through sustainable deconstruction and renovation building practices. On all our remodeling projects we promote deconstruction and reuse. Often times the majority of the material we take out of the job, such as cabinetry and plumbing fixtures, will be donated or given away piecemeal. Now, with the Evanston Rebuilding Warehouse, we a have a single location to drop off all the items that can be reused. The concept has been wildly successful in other areas, and we hope for it to flourish on the North Shore. Contact us if you have any questions on how we can help you to remodel smarter.